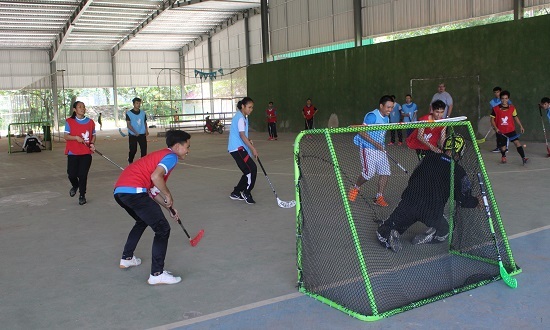 IFF, together with Fida International and the Lao NOC, conducted a Floorball Development seminar from 10th to 12th of October. 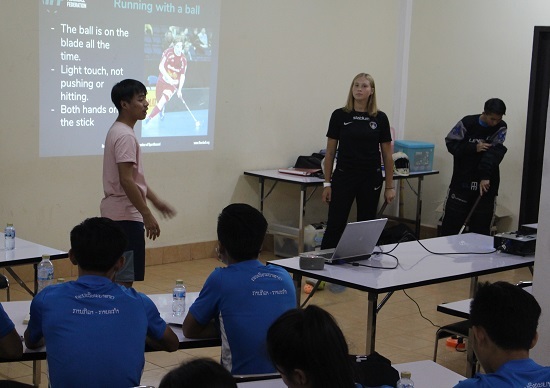 The seminar was held at the National University of Lao in cooperation with the physical education teacher faculty. Fida International together with Savannaketh Sport Bureau, had the practical responsibility for the organisation of the seminar. 27 students and three teachers as well as three persons from the Fida International Youth Centre, participated in the seminar. The people from Fida were responsible for floorball participation and they acted as translators. The seminar was opened and closed by Mr. Somsee Njopansay President of National University of Laos, Vice President of NOC and the seminar was evaluated by Dr. Chaylasy Gnophanxay, Head of Sports Science Department, National University of Laos, Faculty of Sports Science and Physical Education. The seminar itself focused on basic technique and tactics and included various lectures and practical sessions. Ms. Päivi Jokivuori was responsible for the practical arrangements and Ms. Heidi Linnainmaa assisted with the education. A mini tournament was played between four teams in the end of the seminar. Participants were all very interested in playing floorball. The school officials also expressed their interest in continuing to play the sport. “The seminar participants were really enthusiastic about the sport and learned very fast to already play real games on the third day. Now we hope that the University will use the IFF donated materials to continue playing here in Vientiane” says Ms. Jokivuori from Fida International. “IFF will continue the work with the Lao NOC and Fida, to support the creation of a Lao Floorball federation in the coming year or so” continues IFF Secretary General Mr. John Liljelund. The seminar received a lot of publicity and it was mentioned on the national radio and newspaper. Also a 3-minute report of the seminar aired on national TV.